With its aesthetically pleasing shiny and glossy finish, polished concrete floors for your warehouse or commercial premises may be the most cost-effective flooring choice you may make. If you want to implement polished concrete flooring in your industrial property in Perth, it’s essential to work with a team of experts. With over 15 years’ experience in polishing concrete and restoring Natural Stone, the team here at Infinity Flooring can grind, hone and polish your grey looking concrete slab, into a brand new polished concrete floor. Call us now on 1300 182 125 for an obligation free project assessment. If you own an industrial property, you know how essential it is to choose the right materials. Industrial facilities need to be made from durable and practical materials. Otherwise, repairs may end up impacting your bottom line. Polished concrete flooring is a leading choice for many industrial property owners. It’s one of the most durable and hassle-free flooring options available on the market. If you’re looking to purchase flooring with longevity built in, you can’t go wrong with polished concrete. If you use the right finish, polished concrete is exceptionally resistant to scratches and markings. Polished concrete flooring is the perfect surface if you’re moving heavy weights or sharp objects around your industrial property. It’s also easy to clean and doesn’t show stains. If you work with liquids or hazardous chemicals, polished concrete flooring is the best way to avoid costly spills. Creating polished concrete floors on existing concrete slabs means you won’t need to invest in new flooring materials. The concrete polishing cost is often much lower than other forms of flooring. 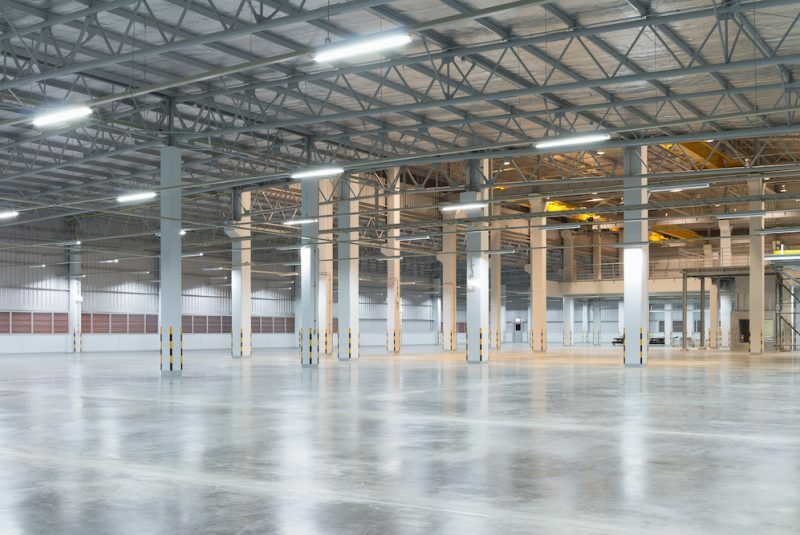 If you’re interested in polished concrete flooring for your industrial property, it’s essential to use a team that can effectively implement your new floor. If you’re really looking for a durable and aesthetically pleasing polished concrete floor, it’s essential to use a flooring provider that knows how to install HiPERFLOOR. HiPERFLOOR is a Husqvarna concrete finishing product that provides high-end results for polished concrete flooring. This form of floor finish radiates a glossy, attractive appearance and helps shield the lower concrete against scratches or damages. It’s excellent for industrial properties who want to prevent wear and tear on their concrete flooring. Our team at Infinity Flooring currently possesses certification as an accredited Husqvarna applicator. This means we have the tools and experience needed to apply your HiPERFLOOR polished concrete floor finishing. If you want to implement polished concrete flooring in your industrial property in Perth, it’s essential to work with an expert. As a business owner, you can’t afford shoddy work – it could end up costing you in the future if it delays projects or workspace. Our team of qualified and experienced natural stone restoration and polished concrete flooring experts understand what it takes to get the job done right. We work quickly and effectively to get your industrial flooring implemented as fast as possible. If you’re ready to have your industrial concrete floors polished, get in contact with our team at Infinity Flooring today.